Busselton Veterinary Hospital is extremely happy to provide a home visit service for our clients. Our team know how difficult it can be to get in to the see us and in keeping with our hospitals focus of making vet visits easy for you we can come to you. Do you or your pet find it stressful to come and visit us? Is it hard with your family life and kids to get in with your pets to see us? Do you have multiple pets and find it hard to get everyone in the car at once? Are you without transport and have to organise a lift in? Do you work from home and would you find it easy for us to just pop in? We can come and do routine, non urgent appointments for you. The following are some examples of consultations we can do at home. A home visit consultation is $99 and that replaces the standard in-clinic consultation. As long as you are in the Busselton area then no travel fees will apply. If you are one of our Healthy Pets 4 Life members then you can still use our home visit service there will just be a $20 home visit charge. 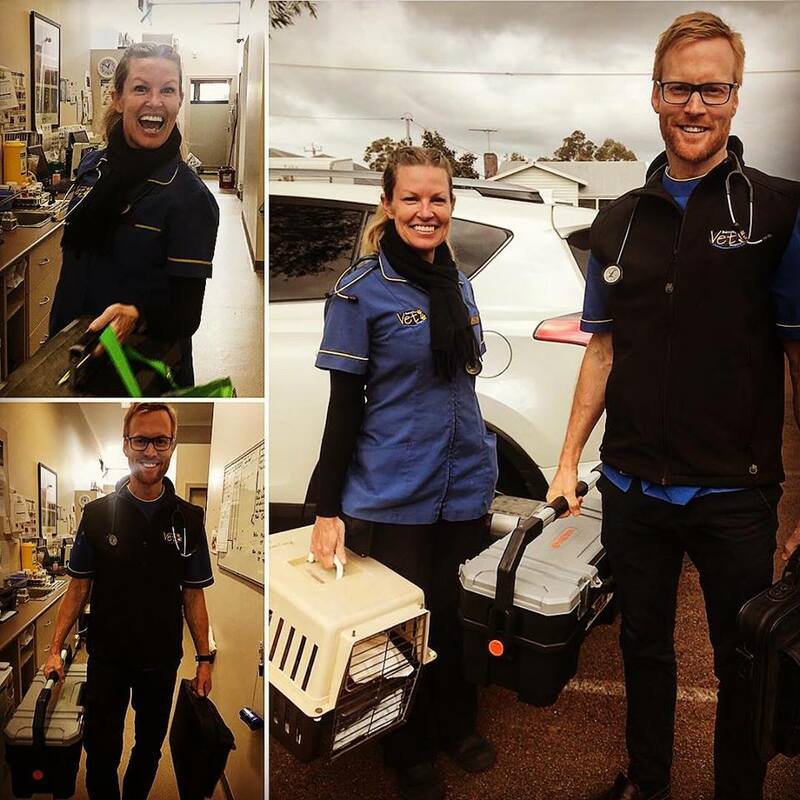 Our team is really excited to be able to expand on your Busselton Vet experience by coming to visit you at home and look forward to making visits less stressful for your pets.